Dziś ponownie spotykamy się z Veerą, niestety jest to ostatni post jaki przygotowała dla nas jako gościnna projektantka. Mam nadzieje, że będziemy mieć okazję zobaczyć jeszcze prace Veery z naszymi stemplami. Hello, It’s Veera here today to share my last guest designer projects with you. Even though I’m a scrapbooker by heart I love to create a card every now and then. The Studio Forty stamps helped me to put together two simple cards that are ready to be sent out! Both of these cards have similar elements as the stamps were embossed with white embossing powder. I really love the contrast between the white and the colored patter papers. 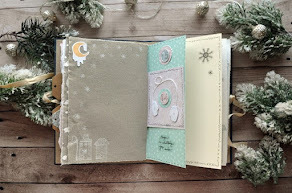 Also embossing creates a nice texture to the card which I like. 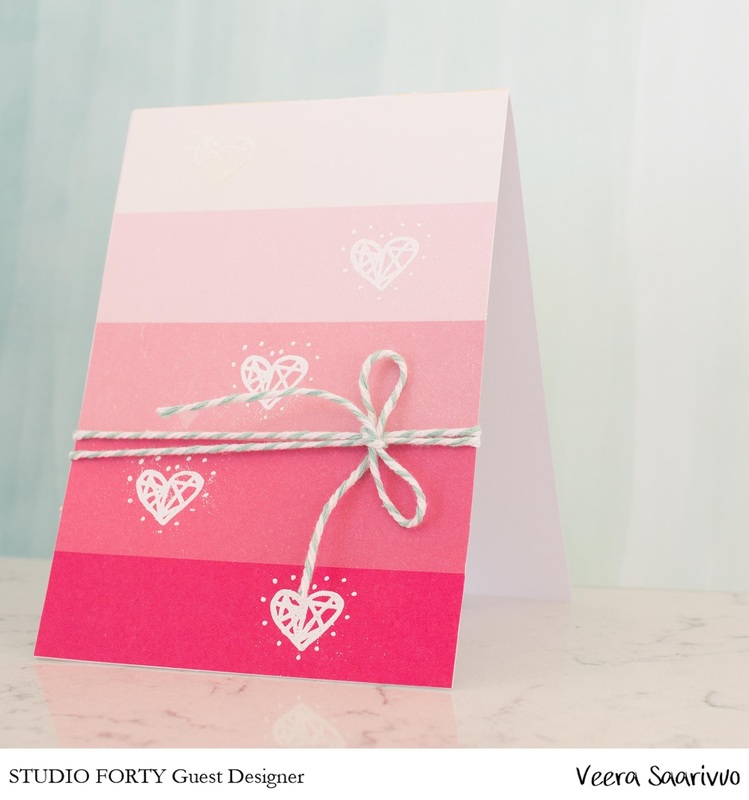 Stamping is also a create solution for cards when you want to layer elements without creating a bulky card. 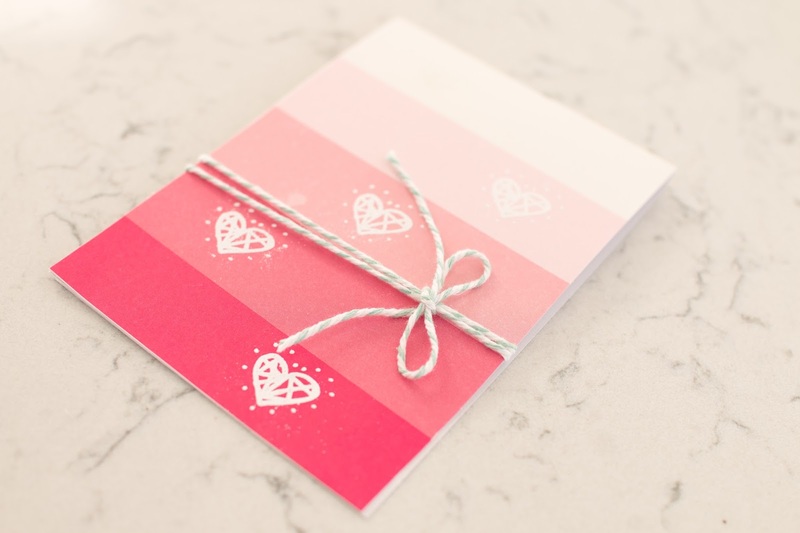 Both of these cards are flat and can be sent out easily without worrying if the elements will stay in place. 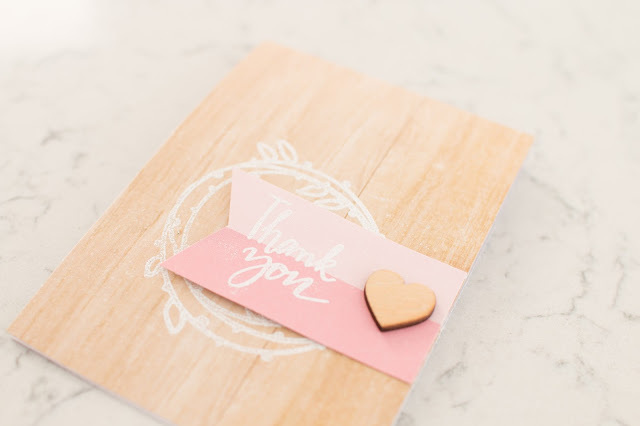 I hope you have enjoyed my projects using Studio Forty products! It’s been a pleasure creating with these products!